Ireland U-20 tighthead prop Jack Aungier said that having former Munster, Ireland captain Paul O'Connell on board as part of their management team is a huge boost to the players. Aungier is hoping that Ireland can get their World Rugby U-20 Championship programme back on track when they take on South Africa tomorrow. And the promising 19-year old, a product of St Fintan's school in Portmarnock and Suttonians RFC, believes they can bounce back from the 26-24 loss to hosts France on Wednesday night. All the players hope that featuring in this tournament is one of the stepping-stones to a career in professional rugby and Aungier said that having an iconis figure like O'Connell in the changing room is a huge boost. "It's been unbelievable. He's come in and done so much more than the lineout. He's excellent coach at the breakdown and tackle. And the ball carrying as well, he puts such an emphasis on it. Anything he says you listen to him. He's one of the best there ever was," said the teenager. Aungier said they knew they were going to be facing three of the biggest packs in the tournament when they were drawn with France, South Africa and Georgia, but he is enjoying the challenge. "We are in a tough pool alright. We have a battle in the front row. We know what to expect. The French were very strong in the set-piece but South Africa and Georgia will be equally as strong. "You are rating yourself against some of the best players in the world. It's great to see where you are there. "The Six Nations was a bit of a shock. It's the highest level I played up until then. But coming to this you know what you expect. 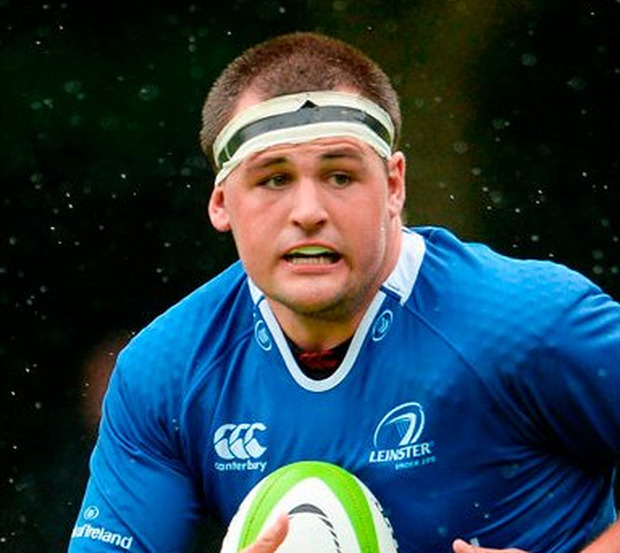 The intensity is still very high," added Aungier, who has just finished his first year in the Leinster Academy and is playing his club rugby with St Mary's College. Ireland are lining up replacements for loosehead prop James French and winger Dan Hurley after both had their tournament ended with knee injuries. The Irish management are hopeful that lock Matthew Dalton will recover from a shoulder injury but he is unlikely to be involved in tomorrow's clash. South Africa go into this game after a comeback win over Georgia. The Baby Boks trailed 17-12 at half-time but took over after the restart to win by 33-27, with No 8 Muller Uys getting two of their five tries. Out-half Damian Willemse, who made his Super Rugby debut for the Stormers when he just 18 and has since chalked up 15 appearances in the competition, is the key threat and minimising his influence will be a target for the Irish. Ireland trained at their base in Narbonne yesterday and tomorrow's game will take place at the Parc des Sports after Australia, beaten 26-21 by Wales on Wednesday, take on a Japan side hammered 67-0 by reigning champions New Zealand in the opening match.